Is Breshad Perriman complete trash, or is it just Flacco? Flacco only ever targets people he likes. It's why it took him years to realize if he threw the ball near Q he would come down with it. I mean, last year he threw a million balls toward his best friend Dennis Pitta even though Pitta was so broken he couldn't go anywhere with the ball in his hands. Perriman has basically been injured for his entire career and when he was healthy in the preseason, Flacco was out. So, there's no chemistry at this point. It's why it took him years to realize if he threw the ball near Q he would come down with it. Maybe if Perriman shows some life, they'll trade him to San Francisco for a 6th round pick? * Panthers beat the Pats! I'm with MMD -- I didn't much like the get-it-to-the-35-thereabouts-and-cross-your-fingers approach either. But damn if Gano didn't drill that thing. Also, the Pats D is horribad. It was amateur hour in the secondary on some of those plays. * The Texans for the first time in franchise history have a QB. * The Jets are tied with the Patriots in the AFC East. Relatedly: the Jags got robbed. * Lots of injuries. Too many injuries. Dalvin Cook's out for the year. Derek Carr broke his back. Mariota's dinged up. The Panthers' thin secondary is even thinner (Kurt Coleman's out for a few weeks). Oh, hey, Chicago, meet your new starting QB, Mitch Trubisky. This story is emblematic of Trubisky’s ability to be a great teammate, for sure. But it also lays the foundation for the answer to the question everyone has about one of the draft’s top quarterback who started only one full season of college ball: If Mitch Trubisky is so good, why was he a backup for two seasons to a guy who didn’t make a final 53-man NFL roster? Uh, because he wasn't better than the guy ahead of him on the depth chart? The UNC QB before Trubisky, by the way, is none other than Marquise Williams, who wasn't drafted and is now the fourth-string QB for the Saskatchewan Roughriders of the CFL. Despite a stellar training camp that year, Trubisky lost out on the starting job to Marquise Williams for a second straight year. But Williams struggled in that first game, throwing one touchdown against three interceptions—including two in the end zone—and an overmatched South Carolina team emerged victorious against the Tar Heels. Trubisky admitted to his position coach that he thought his coach would turn to him and he’d lead the Heels to victory. The reason Trubisky is starting? It's not because Glennon is hurt. Oh, no. It's because he's struggling. My beef here isn't so much with the Bears. I mean, I'd start a soggy ham sandwich (or DeShone Kizer) over Mike Glennon. No, my beef is with SI for running such a story that fatally contradicts itself six grafs in. Once upon a time the magazine had editors and writers who were worth half a sh*t. Now? Good lord almighty. It's like a whole editorial department of Jay Cutler clones. Once upon a time the magazine had editors and writers who were worth half a sh*t.
Once upon a time, Paul Zimmerman was healthy. Oh, no. It's because he's struggling. You have to write that as struh-guh-leeng. Lies. Everybody forgets because of how badly he imploded, but Matt Schaub was a legitimately good QB from 2008-2012 or so. Also, Watson looks great, but lots of rookie QBs look great until defensive coordinators get some tape on them. If he's still great in six weeks, call me. Yes, because one play, 70 minutes into the game, is what cost them. Nobody deserved to win that game. Lies. Everybody forgets because of how badly he imploded, but Matt Schaub was a legitimately good QB from 2008-2012 or so. No. He was a legitimately average QB. Granted, average was better than what we had previously, but Schaub was never what I'd call good. He was saved by Andre Johnson's ability to catch his badly thrown balls. Also, Watson looks great, but lots of rookie QBs look great until defensive coordinators get some tape on them. If he's still great in six weeks, call me. Agreed. I'm just happy someone in the QB slot is showing signs of promise. Alex Smith is 33... is his old man strength kicking in? Not like hes throwing lasers but hes got more zip in his throw this year. Maybe its just the accuracy tho. If the Vikings were tissue paper on all sides of the ball, it might be a good idea to start Trubisky. Get some confidence against a bad team, destroy the Baltimore secondary the week after, then hit the wall where there's enough tape for everyone to figure him out and he then goes back to the halls of Bears QB mediocrity. But the Vikings defense is good this year. And it's Monday Night Football. The Bears are going to be lucky if he's walking after this game. The Bears' biggest problem isn't their O-Line or even their QB (though I didn't love what I saw from Glennon), it's their WR. They have no one you've ever heard of. Their best WR was a Titans first round bust. They can't get open. When you hit them with a perfect pass, they're as likely to drop as to catch it. They had multiple games in the last two years where they dropped a game winning touchdown pass. I'm optimistic about Trubisky, but I don't think Brady, Manning, Brees, or Rodgers would look great with these receivers. ***Monday Update: The initial day-to-day timetable on Carr did indeed prove incorrect. Carr was diagnosed with a transverse process fracture today and given an updated timetable of 2-4 weeks. This is the same injury suffered by Tony Romo (direct blow to back in a similar mechanism to Carr) and Cam Newton (injured in car accident). It wasn't misleading for Del Rio to say Carr had back spasms. He very likely did. This is a painful injury to the skeleton of the spine, made worse by spasm of the muscles that attach to the transverse process itself. Romo missed just one game with his injury, Newton missed two. The Raiders are hoping for Carr to also meet the more optimistic end of the recovery timetable. Matt Waldman is endorsing National Football Academies' Dub Maddox and his take on QB mechanics. Waldman makes a point that normally he doesn't endorse products, but he thinks Maddox is really good. Tennessee solves QB position forever by supplanting Matt Cassell with . . . Brandon Weeden. I mean it's just a joke now that every trash QB is going to get hired as long as they aren't named Kaepernick, right? Can't wait for Week 9 when it's "Tebow takes leave of single-A baseball, signs with Giants". Should be a flowchart. Is your last name Kaepernick? No, you're hired. Well, they also apparently worked out Matt McGloin, Matt Barkley, and T.J. Yates, so, yeah, basically. Teams were blacklisting Kaep because he knelt during the anthem. Now almost all players have knelt during the anthem at least once. Why is it still an issue with Kaep? Wouldn't winning matter more to a team now? I dunno. I give up. Fans are booing now when players kneel before the anthem and stand during the anthem. It was never about the anthem. I think there is very little chance that a team in Tennessee would bring in Kaepernick. There is still a lot of racism there (I am from Tennessee and almost all of my family still live there). He is a symbol now of the protest. All of the other guys are just supporters. It is really despicable what the NFL has done to him. Between that and the CTE stuff and the cheating scandals, my interest is definitely ebbing. It is getting harder and harder to support the sport. I don't think John Fox is doing y'all any favors, either. I loved the guy when he was in Carolina. But he completely checked out his last season in Carolina (mostly because he and everyone else in both Carolinas knew he was going to be fired as soon as the season was over). Looks like history is repeating itself in Chicago. 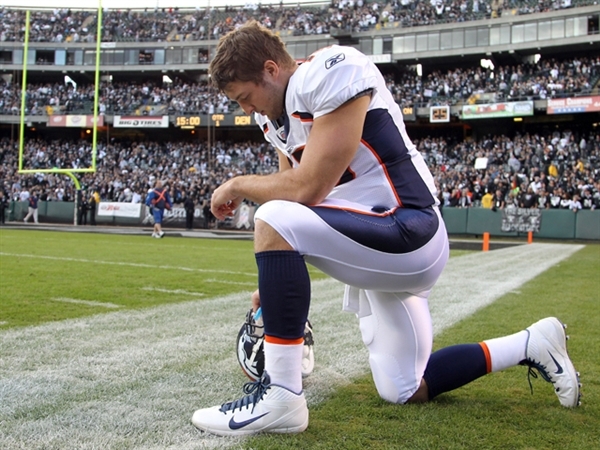 The question is, what would Tebow do if someone did sign him? QB Jared Goff, LARM: Leads all QB in passing DVOA through Week 4, completing 67 percent of passes for 9.2 yards per attempt. Let that sh*t sink in. I'm of the opinion that the league is a whole less top heavy than previous seasons. A couple injuries to the front runners, playoff schedules breaking the right way and I honestly think we could be watching Houston Texans v LA Rams in the Super Bowl. My only caveat is that any team that does is defense first and catches lightning in a bottle on O. Which other fairly recent SB winners were O first D second? Atlanta would of been but ya nope.